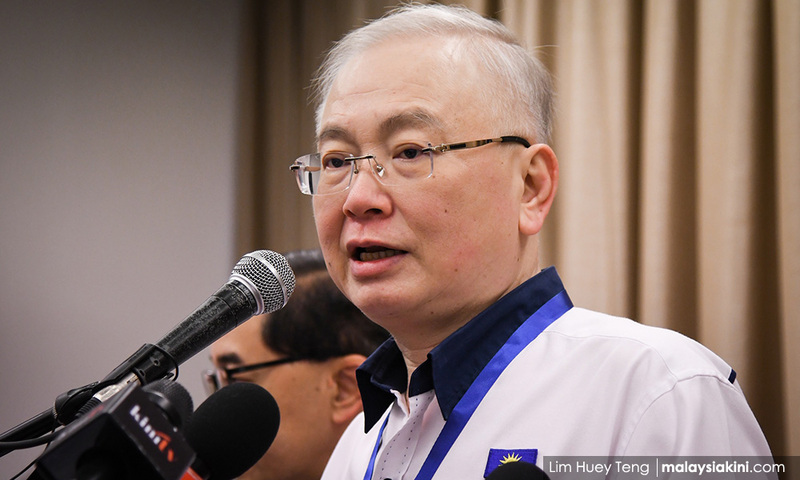 There are only three possibilities how Deputy Foreign Minister Marzuki Yahya's grades from the Cambridge International University (CIU) matched that of a standard template's, said MCA president Wee Ka Siong. "Possibility 1: This is an extraordinary coincidence. It is harder to see (this type of coincidence) other than to win the first prize in the Sports Toto (lottery). "Possibility 2: This dubious university sent the same results to all 'graduates' who paid fees. "Possibility 3: Bro (Marzuki), how long did it take you to copy, paste and edit (the transcript)?" Wee said in a Facebook post today. Marzuki's academic qualifications have been disputed after critics questioned the authenticity of his degree. In a statement today, Marzuki sought to prove he had a respectable degree and shared his academic transcript. However, checks by Malaysiakini found that Marzuki's grades were exactly the same as that of a template transcript from the CIU. This includes a 3.9-grade point on the second last subject for which both Marzuki and the template transcript got an "A". According to the explanation of grades, an "A" carries a grade point of 4, while an "A - " carries a grade score of 3.7. 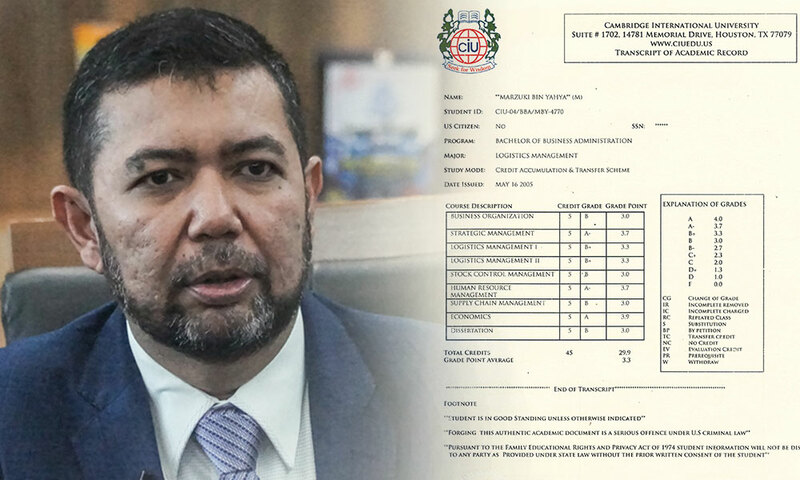 The spotlight fell on Marzuki after a police report was lodged over claims he had lied about obtaining a degree from the UK's Cambridge University. Marzuki claimed he had never tried to portray himself as a Cambridge University student. However, a Bernama article on his appointment as a senator stated that he had graduated from the prestigious UK institution. The CIU, which has no relation to the UK's Cambridge, has been alleged to be a degree mill.